Menopause is a normal stage in a woman’s life commencing around 45 to 55 years. It is characterized by a change in the hormone levels when the monthly menstrual cycles end (secondary amenorrhea). In menopause, a women does not have periods for one year or more without being pregnant, severely ill, on certain drugs or breastfeeding. Some consider the phase of irregular periods, before the complete cessation to be menopause whereas medically it is called the perimenopausal phase (perimenopause). At menopause the levels of female hormones fall below normal. These hormones are not only essential for reproduction, but also for normal physiological functions of the body. The decrease in the levels of these hormones leads to some characteristic signs and symptoms which vary in severity. The immediate symptoms can be hot flashes/flushes (face, neck and chest ), vaginal dryness, night sweats and sleep disturbances. Hormone replacement therapy, using estrogen or progesterone alone or in combination, can stabilize the hormone levels in the body and relieve most of the symptoms. Hyperlipidemia is the change in the levels of lipids (like cholesterol and triglycerides) in the blood and increases the risk of heart disease. Hormone replacement therapy may slow the onset and progression of these conditions or possibly prevent it altogether. A combination of estrogen and progesterone in optimal doses and for optimal duration may provide both symptomatic relief, thereby improving the quality of life, and delay or prevent associated conditions. Relieves the night sweats, vaginal dryness and hot flashes. Decreases the bone thinning and thus prevents the occurrence of fractures. Improves the lipid profile. A debate about the benefit of HRT in preventing cardiovascular disease is ongoing. The benefits versus exacerbating heart disease depends upon the status of the heart at the time of menopause. HRT may decrease the incidence of colon cancer. 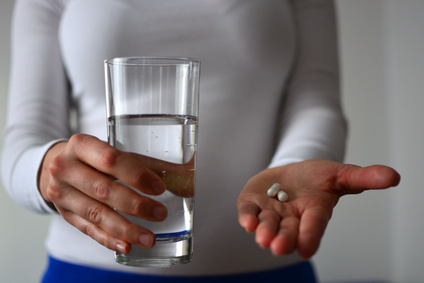 Ideally hormone replacement therapy should be taken in the first few years of menopause. There is evidence to suggest that starting HRT after 60 years of age may be associated with the risk of developing certain complications. However this is often weighed against the potential benefits on an individual basis. There is an increased risk of gallbladder diseases, breast cancer, heart attack, stroke and blood clot formation. The risks are higher in patients with pre-existing cardiac conditions or hyperlipidemia (elevated blood lipid levels). High risk patients can however use transdermal patches or skin creams used for vaginal dryness if prescribed by a medical doctor. Estrogen on its own can increase the risk of endometrial cancer (cancer of the uterine lining) in women with an intact uterus and addition of progesterone lowers this risk. The cyclical administration of HRT can lead to cyclic bleeding which is not acceptable to some women. who have had a heart disease. There are broadly two types of – conventional and natural HRT. Endogenously, estrogen can be estradiol (main form), estrone and estriol. In oral formulations estrogen may be present as estradiol or conjugated estrogens or ethinyl estradiol (synthetic) or salts of estrone. One of the oldest drugs like Premarin contains ‘conjugated equine estrogen’ which are a mixture of estrone, equilin (estrogen of pregnant mare) and other estrogens. Newer preparations like Estrace, Estinyl, Activella and Ortho-Prefest contain estradiol which has been derived from the plants. Only estrogen is used for oral use or local application. The creams, gels and patches are available as OTC drugs. 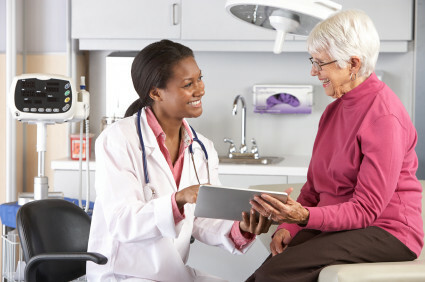 Estrogen alone can relieve the symptoms of vaginal dryness, sleep disturbances, night sweats and hot flushes in females who have undergone a hysterectomy (removal of uterus). Monotherapy with estrogen prevents the side-effects of progesterone. The estradiol patches, creams and pills cause fewer side- effects when compared to the oral pills. Only progesterone is sometimes used as replacement therapy. Progesterone reduces the risk of development of endometrial cancer. Low doses of both the hormones are given in a cyclical manner or continuously for the shortest possible duration. Continuous intake prevents the regular monthly bleeding. As with any other medication, patients should be reassessed at regular intervals. In continuous therapy, biopsy of the endometrium is required if bleeding occurs within first few months. HRT should be taken for relieving the unbearable symptoms of the menopause. However, every menopausal woman does not require HRT as the symptoms decrease with time and may not respond to HRT in some cases. Natural HRT (NHRT) or bio-identical HRT (BHRT) includes the hormone preparations derived from plant extracts and then chemically modified to be structurally indistinguishable from the endogenous female hormones. These are derived from wild yams and soybeans. Long term data about its efficacy and safety is lacking. Natural HRT is considered as an alternative to the conventional therapy. Like the conventional HRT, natural HRT is also given continuously or in a cyclical manner. Oral capsules, tablets, lozenges, injections and vaginal suppositories and skin creams, patches of natural HRT are available. Alternatives treatment includes using some herbs which may help to reduce the intensity of menopause symptoms. Black cohosh is among the more widely used herbs in herbal medicine but there is insufficient data available to support its use. Last updated on September 28, 2018.